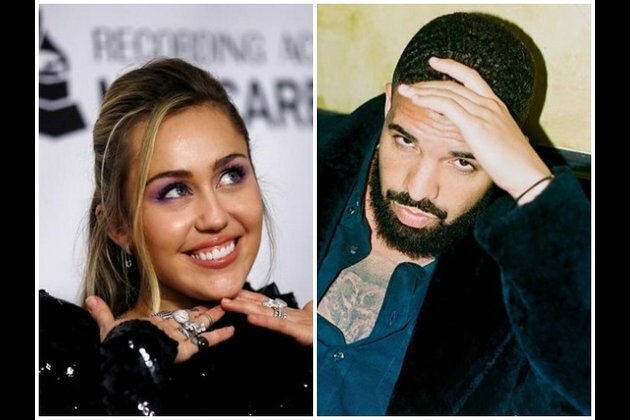 Washington D.C. [USA] Mar 23 (ANI): Miley Cyrus' shoutout to Drake, in her latest social media post, has given their fans something to talk about. The picture has led to speculations that a possible collaboration is underway. But it is the caption that caught the fans' attention. Giving a shout out to the rapper, Miley wrote, "Drenching myself in @champagnepapi tears. "For those of you who don't know, champagnepapi is Drake's Instagram user name. "Drake Collab," a user commented on the post. "im dying right now imagine drake x mc," wrote another. Another fan wrote, "Drake x Miley collab please let this happen. "While the two have never collaborated before for a project, Drake's 2015 track 'Energy' included a small nod to the "Wrecking Ball" video.